CORINNE FISHER is a stand-up comedian, writer & actor originally from Union, NJ. She first made a splash with her debut one-woman show Corinne Fisher: I STALK YOU (Dir. David Crabb) which had a run at The Peoples Improv Theater (The PIT) in the Summer of 2010 and was featured in Time Out New York. Since then, she has been a regular on the stand-up scene playing anything from dive bars to world-famous comedy clubs like New York Comedy Club, The Stand, The Standing Room, Caroline’s, Upright Citizens Brigade Theatre, Broadway Comedy Club, Comix, Laugh Boston, The Stress Factory & Gotham. Her second stage show, Almost Former Reality TV Stars, had a run at The PIT in June 2011 and told the true (albeit slightly exaggerated) story of how CORINNE and her real-life best friend, actor/model THOMAS WHITFIELD, were hired, then fired from their very own reality TV show. 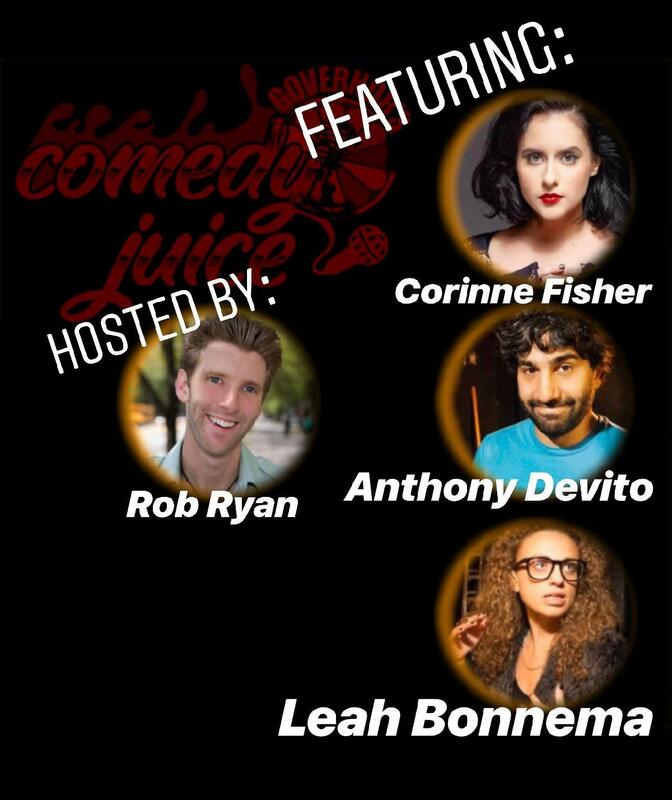 Known as @PhilanthropyGal on Twitter (slightly tongue-in-cheek…), in 2012 CORINNE performed in a series of benefit shows for the AFGHAN WOMEN’S WRITING PROJECT alongside other female New York comedians including SNL alum RACHEL DRATCH. Over the past few years, CORINNE has been selected to perform in the prestigious BOSTON COMEDY FESTIVAL, the WOMEN IN COMEDY FESTIVAL, THE LAUGHING DEVIL COMEDY FESTIVAL & the SHE-DEVIL FESTIVAL. On YouTube, she is the messed up mind behind Internet vlogger GINA SPRINKLES and the voice of ‘TOIBA’ on the cartoon web series MYSTERY SQUAD GALS, the brainchild of RYAN DUFF.